The 2016–2017 Winter Sports season was filled with exciting highlights. Read about each team, learn which athlete’s won this year’s awards, and don’t miss a gallery of the top photos. 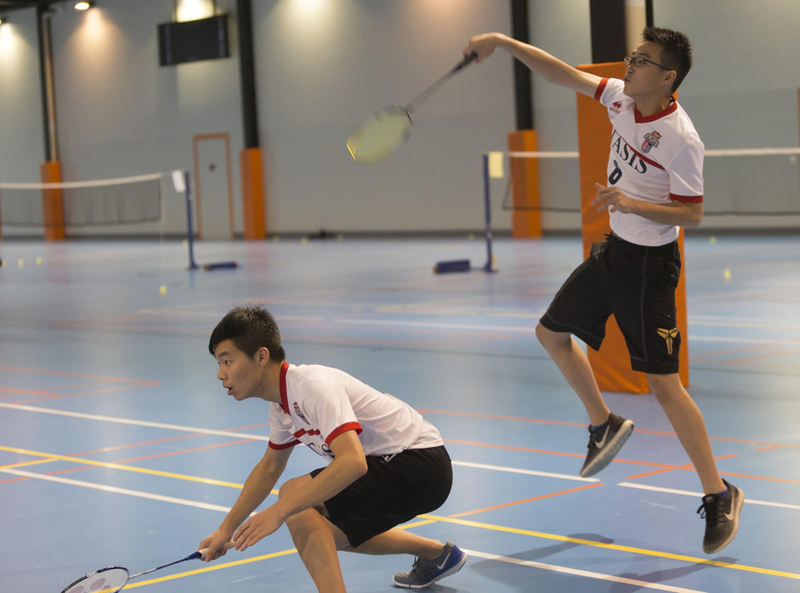 The Varsity Badminton team enjoyed a productive season that culminated with a strong showing at the Swiss Group of International Schools (SGIS) Singles Championships in Lausanne on March 11. Behind outstanding performances from captain Aida Loggiodice and fellow senior Yifan Xia, Coach Sonny Lim’s Tigers posted a runner-up finish in the girls’ bracket and a third-place showing on the boys’ side—each result representing the highest team finish in School history. Earlier in the season, TASIS hosted and swept all categories at the SGIS Doubles Championships, with Jay Huang '20 and Lee Hankeyoul '18 dominating the boys’ division, Margarita Ukleina '19 and Angelina Not '19 cruising to the girls’ title, and Huang and Ukleina winning the first-ever Mixed Doubles Championships. The team also did very well at the Northern International School Sports Association (NISSA) Championships in February, with the girls emerging victorious in both the Singles Championships and Doubles Championships and the boys taking second in each. Coach Lim gave Most Valuable Player awards to Huang and Stanislava Kirsanova ’19, Most Improved Player awards to Xia and Ukleina, and Coaches Awards to Loggiodice and Maria Veronica Ramos ’19. Coach Tom Lill’s Downhill Skiing team, which features competitors from both the Middle School and High School, performed very well in its two meets this year, earning seven podium places at the Völkl International Schools Ski Cup in Engelberg on January 13 and another three at a race hosted by Haut Lac School at Morgins on January 30. In the Giant Slalom competition at Engleberg, Jacob Galmarini '19 (two victories), Francesco Attili '22 (two runner-up finishes), Christopher Stanford '17 (a second- and a third-place finish), and Giulio Bianco '21 (a third-place finish) all found the podium over the course of the two-day event, which was delayed several times due to heavy snowfall. Galmarini was impressive again at Morgins, where he posted his group’s best time in each of his two Giant Slalom runs. Carolina Zanon ’21 was a runner-up in her category, and Bianco notched another solid third-place finish. 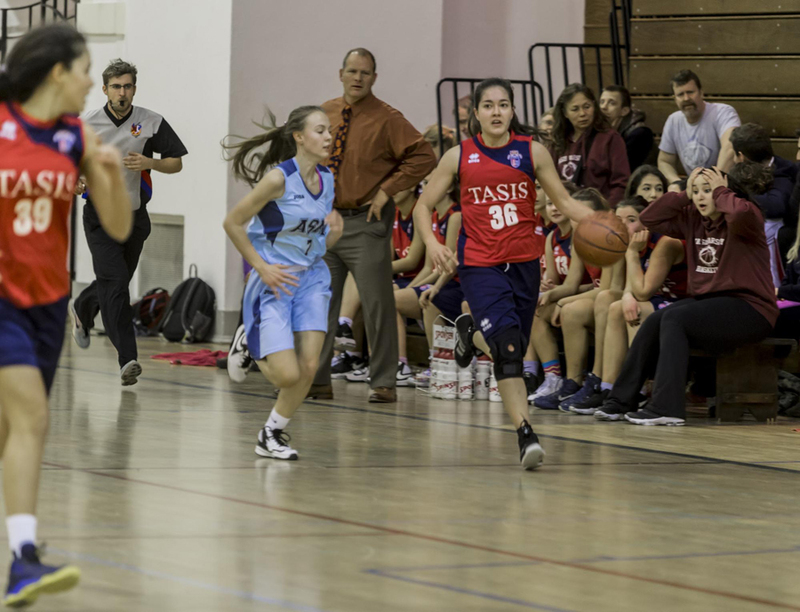 Late in the season, the Varsity Girls Basketball team went roaring into Geneva for the annual European Sports Conference (ESC) Championships, which they won in 2015 and took second in last year. On the first day, they won easily against St. Julian's from Portugal and narrowly defeated ISZL from Zug, a team that had beaten them by 24 back in November. In the third game, they overpowered BIS from Munich to win their pool for the first round. With aspirations sky-high for winning the tournament, the Tigers ran into a wall on Saturday morning, struggling to beat the press in the semifinal against BBIS from Berlin and losing by eight points. 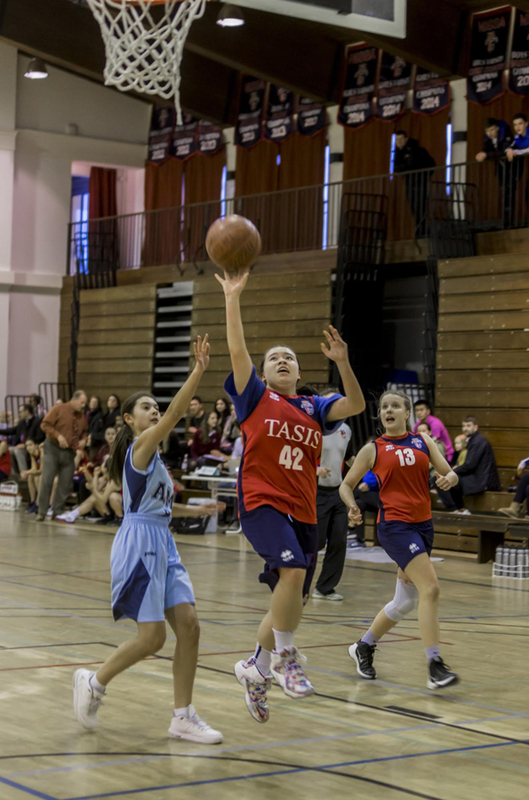 They then fell to ISZL in the consolation game, settling for a fourth-place finish in a tournament in which Coach Kent Hercules got standout performances from Olivia Haunso '19 and Yulia Mochalnikova '19 while captains Hannah Gage '17 and Melissa Yazgan '17 handled much of the scoring and rebounding. 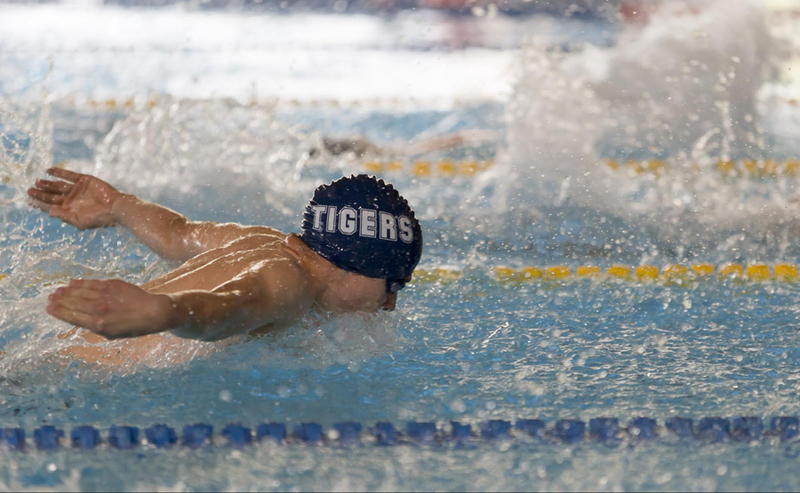 Back in February, the Tigers cruised past American School of Milan and British School of Milan to win the NISSA Championships in dominant fashion. All eleven players logged significant minutes in the tournament. 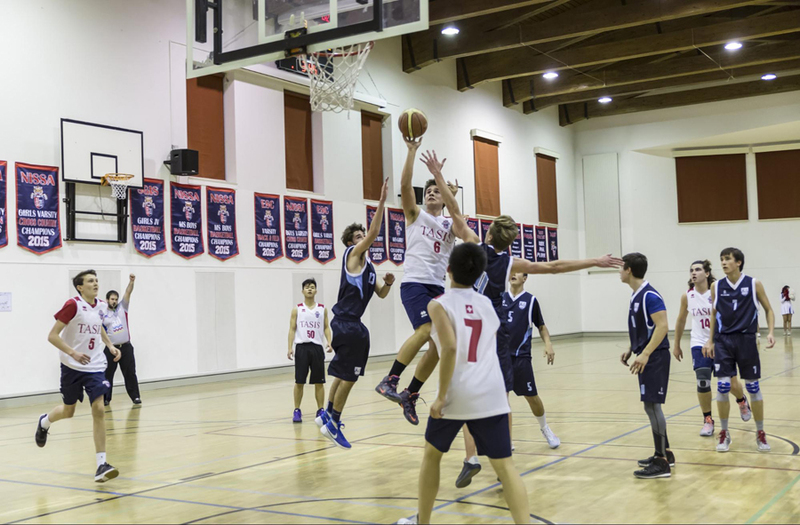 In late January, the program’s younger players traveled to Zurich with Coach Natasha Koltypin and took second at the International School Sports League (ISSL) Junior Varsity tournament. Coach Hercules handed out the varsity awards to Yazgan (Most Valuable Player), Zoe Ghilardi ’18 (Most Improved Player), and Gage (Coaches Award). In the coming years, the varsity squad will look forward to welcoming players from Coach Tom Angelitti’s Middle School team, which took first place in both the NISSA Championships and the ISSL Cluster. Carolina Zanon Di Valgiurata ’20 received the Most Valuable Player award while Sofia Rita ’20 earned the Coaches Award. A month prior to its fifth-place finish at the ESC Championships, the Varsity Boys Basketball team finished second out of six teams at the NISSA Championships in Milan. After splitting their games in the preliminary round, Coach Andrea Veronesi’s Tigers played very well in a victory over American School of Milan in the semifinals. They advanced to the finals by playing excellent defense, limiting ASM to only 16 points in 24 minutes of play. An additional season highlight came at home against the same ASM team in early February, when the Tigers closed with a flurry to pull out a nail-biting 45-40 win. Significant scoring contributions came from Rex Luo '20 (14 points), Can Basaran '18 (11 points), and Nick Barbieri '18 (8 points). Awards for the season went to Barbieri (Most Valuable Player), Nicolas Brinkmann ’20 (Most Improved Player), and Yigit Eyuboglu ’17 (Coaches Award). 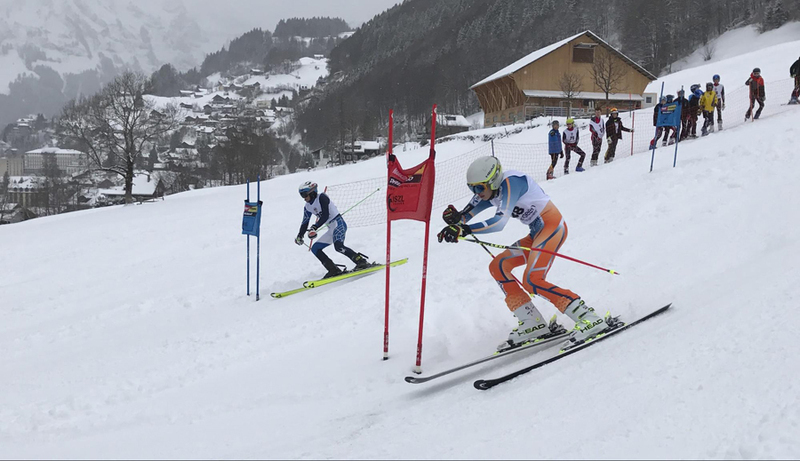 The Middle School Boys finished third at the NISSA Championships in Milan in early February and fifth at the ISSL Cluster on January 21. Coach Riccardo Venturini gave team awards to Charles Breton ’21 and Benjamin Carlson-Peters ’22 for their commitment, dedication, and passion in each game and practice. The TASIS Varsity Cheerleading team hosted members of the International School of Geneva (ISG) team at the School’s first-ever cheerleading clinic in March. More than 35 cheerleaders packed inside the Palestra and enjoyed workshops on tumbling, stunts, cheering, dance, and choreography. Coach Cori Shea’s team had previously attended a workshop at ISG in December. They also supported the TASIS basketball teams throughout the season and put on a great performance at the International Week Opening Ceremony. Coach Shea named Charlotte Colombo ’18 the Most Valuable Player and Emilie Hansen ’20 the Most Improved Player. Claire Young ’18 took home the Coaches Award. TASIS closed the Varsity Swimming season by hosting its first-ever ESC Swimming Championships at the A-CLUB in Savosa, welcoming teams from the UK, Germany, France, and Switzerland. Patryk Herok '20 was able to reach the podium at the meet, taking bronze in the 100m IM. In late January, five boys and four girls represented TASIS at the SGIS Championships in Basel. The girls opened the meet with a 3rd-place finish in the 200m IM relay. Newcomer Carola Camilleri '20 kicked the race off with the backstroke and was followed by captain Maria Vittoria Conti '17 in the breaststroke. Nastya Kolesnikova '18 made her butterfly debut, and first-timer Angie Fabiani '20 brought the team home with a safe freestyle. The boys followed with a fourth-place showing in the same event. Captain Caimin Long '17 opened in backstroke, David Gutierrez '19 showed his skills in breaststroke, Herok posted an impressive butterfly, and first-timer Sezer Tahiroglu '19 closed with the freestyle. Additionally, Kolesnikova scored in the longest event of the day (the 200m Freestyle), Georgi Gergov '21 aged up to represent the High School team and scored in the 50m Breaststroke, Herok scored in the competitive 50m Butterfly field, and both the boys and girls 200m Freestyle relays took 4th place. Coach Andrea Walker gave this year’s awards to Kolesnikova (Most Valuable Player), Tahiroglu (Most Improved Player), and Conti (Coaches Award). Maria Vittoria Conti ’17 provides a closer look at the Varsity Swimming team. 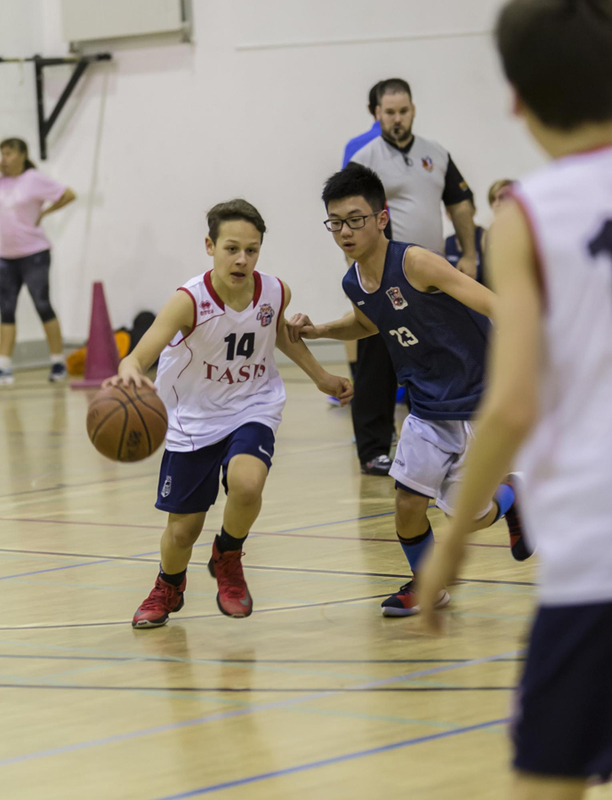 Check out the TASIS SmugMug page to see photo galleries from individual events throughout the season, and visit the athletics results page to see more detailed recaps from games and tournaments.